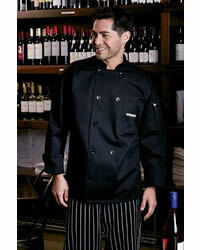 Classic Chef Coat with Mesh - BLACK. Moisture wicking back with 10 pearl button. Sizes S-XXXL.